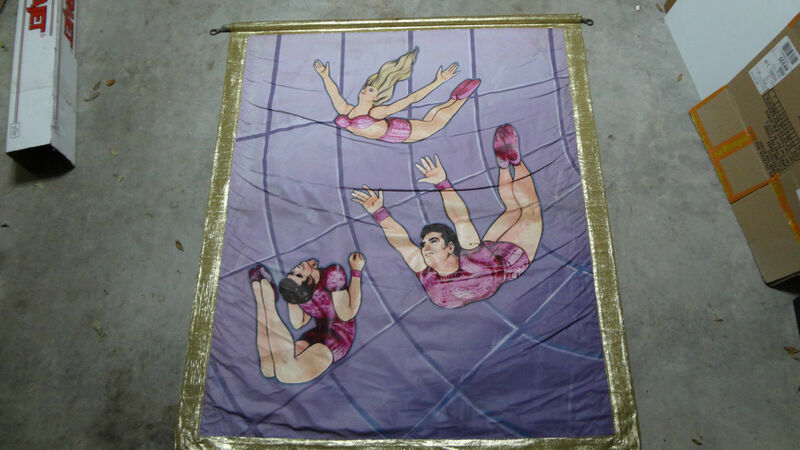 Sensational Ringling Bros and Barnum & Bailey double sided circus banner Museum Quality & Signed The Greatest Show on Earth by Trademark. Karl Wallenda (1905-1978), legendary high-wire artist. Wallenda was the founder of the The Flying Wallendas, a high-wire circus act famous for its death-defying acrobatic feats without the use of a safety net. Wallenda died in 1978 after falling while attempting to walk between the two towers of the ten-story Condado Plaza Hotel in San Juan, Puerto Rico.